Do you want to fly a UAS or Drone? 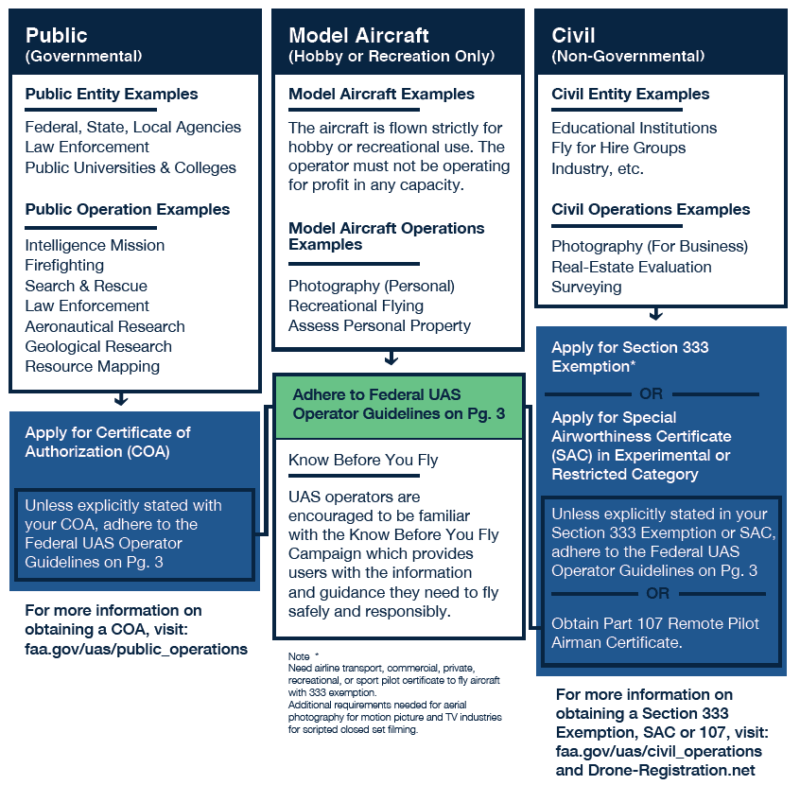 Operations for piloting a drone or UAS fall into three different categories. What type of pilot are you? What is a UAS or Drone? Depending on use, your requirements may be different. The Federal Government has many guidelines and regulations for piloting a UAS or Drone. Begin by registering your drone once you have determined the correct category. You may be required to take and pass a Part 107 exam if you will be flying commercially or for business. You may also chose to take a Part 107 test preparation course. Read more to find out about Federal UAS laws and guidance.